Now that we’re almost settled into the New Year, there’s no better time to go out and treat yourself! ABCey has compiled together a great list of upcoming events in our beloved Bay Area. We hope you enjoy! 1. 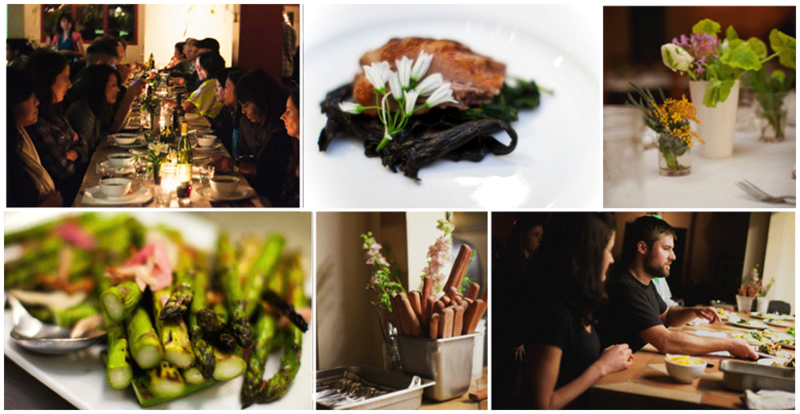 Secret Supper Club: Wild Kitchen Dinner | forageSF | Jan. 18-20 | The Wild Kitchen specializes in wild local edibles, hosting 60 diners for an exquisite 8 course meal. Locations range from a roof-deck in the Mission, to a houseboat in Sausalito. Since they use only the freshest wild-foraged ingredients from around San Francisco, the menu may change, but it won’t disappoint. Vegetarian alternatives may be requested 72 hours in advance. $120 pp. 2. 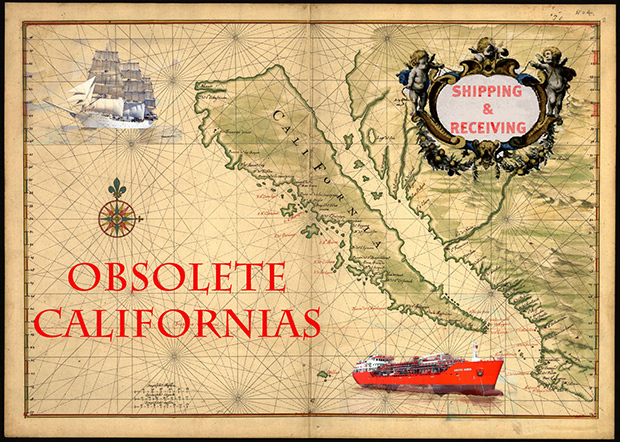 Obsolete California’s | until Jan. 25 | StoreFrontLab | The latest exhibit from this funky Mission collective is a mash-up store with an art gallery, community center and it celebrates California’s history from the Pleistocene to the first Internet Boom. You can stop by to browse or sign up for a combative drawing class, screenings of vintage films about SF, and a hangout fest called Not a Bar, Not Your House. Events are free if you RSVP to storefrontlab.org. 3. Tycho: Scott Hansen, professionally known as Tycho, is an American ambient musician and producer. He is also known for his photographic and design works. Blissful and serene, the synthesized soundscapes of Tycho’s latest release “Dive” play out in a harmonious atmosphere of flowing rhythms. The shows at The Independent (Friday with Christopher Willits, and Saturday with Doombird) are officially sold out, but you can find tickets on StubHub. 4. SPANK: The Fifty Shades Parody | January 24-27 | The Regency Ballroom | This hilarious new musical brings the naughty fun of the best-selling book to life and will have you laughing out loud. The characters come to life with sharp-witted comedy, musical numbers, and brace yourself – striptease performances from the devilishly handsome leading man. Get there early for pre-show cocktails, then stay to meet the cast and pose for a photo with Mr. Dangerous himself! 5. 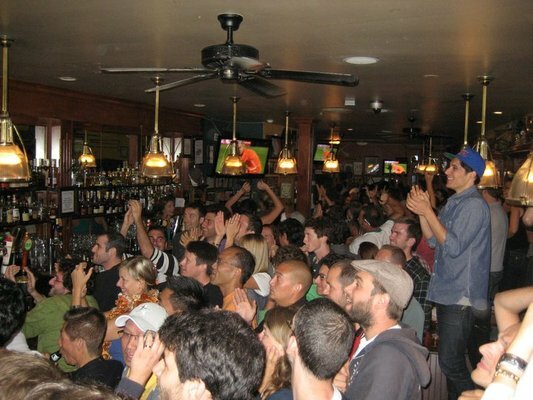 NFL Playoff Pick: Hipster Sports Haven | Phoenix Irish Bar & Gathering House | Jan. 20 | What could be better than a giant crowd enjoying the Conference Championships of the San Francisco 49ers vs. Atlanta Falcons (12 pm), then the New England Patriots vs. Baltimore Ravens (3:30 pm)? Watching it on 9 big flat screens, and adding a selection of 20 beers on tap! It might even be a great idea to grab a booth a couple hours before kickoff to enjoy some of their delicious food! Let us know which events you will be attending in the comments below or on Facebook & Twitter.